Having just celebrated their tenth year together, Vancouver's the Buttless Chaps have announced that they're parting ways. Lead singer Dave Gowans broke the news this week, emphasizing that the dissolution is completely amicable and that the Chaps have simply run their course as a band. Since forming in Victoria in 1998, the Buttless Chaps have released six full-length albums and toured the country relentlessly, honing a decidedly unique blend of country and electronica. With elements of early '80s new wave thrown in for good measure, the cult band never ceased to innovate. In fact, signing artists like the Buttless Chaps marked an important phase for their long-time label Mint Records, which embraced many inventive strains of country-based rock'n'roll (i.e. Neko Case, Carolyn Mark, Atomic 7, etc.) by the end of the '90s. 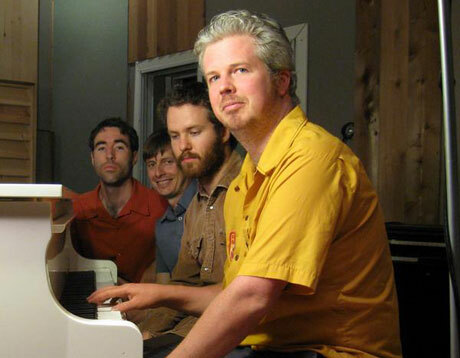 The most recent incarnation of the band featured Gowans on vocals, guitar and banjo, Morgan McDonald on keyboards, Lasse Lutick on guitar and synthesizer, Dan Gaucher on drums, and Ida Nilsen on vocals, accordion, synthesizer and euphonium. Their final album together was 2008's acclaimed Cartography. Original drummer Torben Wilson left the band prior to these last recording sessions. According to Gowans, some members will move on to other ventures (i.e. Great Aunt Ida, Fond of Tigers), while he'll take some time to recharge before nurturing a new recording project entitled Cloudsplitter, which also features Nilsen and Jesse Zubot, and will likely perform selective concerts. As for the Buttless Chaps, they've earned a relatively long mourning period; Gowans believes their final two shows will include a stop at the Dawson City Music Festival this July and then one final hometown show, which reunites Chaps separated by geographic obstacles and features special guests. Keep an eye on the band's MySpace page for the latest updates. The Buttless Chaps "Where Night Holds Light"